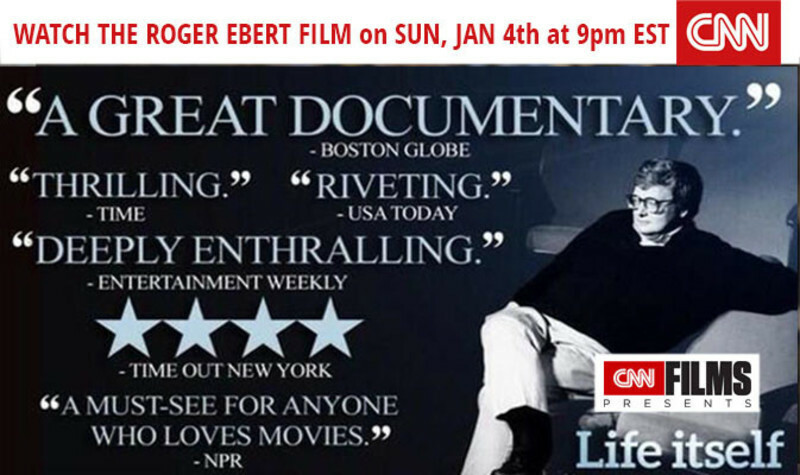 The captivating documentary, “Life Itself,” profiling film critic, Roger Ebert’s triumphs and tribulations was directed by Emmy and Oscar nominated, Steve James (The Interrupters). James was someone who first garnered Ebert’s attention and praise at the 1994 Sundance Film Festival, after Ebert watched his documentary “Hoop Dreams.” The film went on to win the Audience Award and was also nominated for the Grand Jury Prize. First screened at several festivals, “Life Itself,” which has a runtime of 120 minutes, was released on July 4, 2014. Even though the narration for the film, based on Ebert’s memoir of the same name which was published on September 13, 2011, sounds as if it was provided by Ebert, in fact, was not. Voice actor, Stephen Stanton (Star Wars: The Clone Wars) does a competent job of imitating Ebert. Roger Ebert’s overall body of work encompasses his immensely successful career that lasted for the better part of four decades. Cinephiles who were not alive – or who were too young – when he was a syndicated columnist for The Chicago Sun- Times or was verbally sparing with Gene Siskel, the film critic for The Chicago Tribune, on their popular television show, which ran from 1986 through 1999, can go on-line and peruse the internet archives of Ebert’s website to read his critiques. In addition, Ebert was a prolific author, who had close to thirty books published during his lifetime, a few, however, do not deal with the subject of film. The Pulitzer Prize winner was never one to be condescending to his readers. Ebert looked at film through the lens of someone, who while enamored with the classics of yesteryear, was progressive enough to openly embrace the ever changing cinematic landscape, when many of his contemporaries did not. Not only did he welcome the advent of the modern day blockbuster, but in later years, he became the first film critic to begin posting his reviews on-line. Advancing the narrative through commentary, which is interspersed throughout the film, are: Ebert’s wife Chaz, long time friends, Gene Siskel’s widow Marlene, fellow film critics, as well as a few very well known individuals. For example, multiple award winning director, Martin Scorsese (Goodfellas). 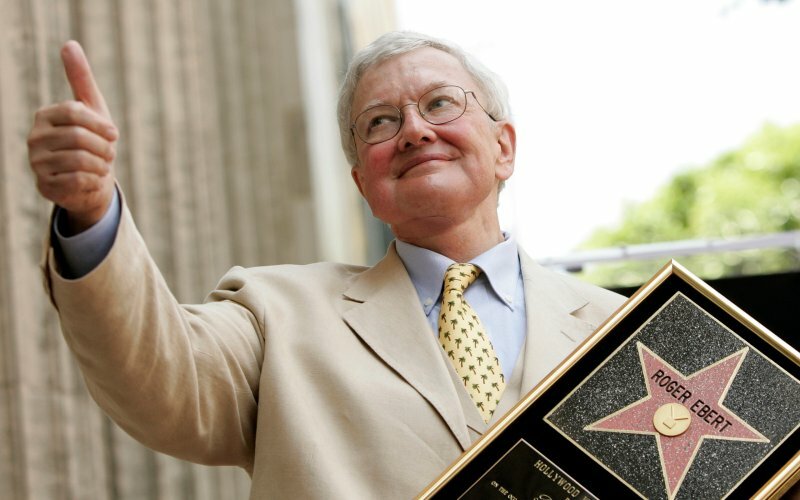 The director expresses that he felt pride when Ebert was praiseworthy of his work, being one of the first film critics to champion his film “Who’s That Knocking at My Door,” when he was still an unknown. Scorsese, however, also took guidance, when a review from Ebert of one of his films was less than stellar, such as, “The Color of Money.” Commentary is also given by Oscar nominated German director Werner Herzog (Encounters at the End of the World), and Academy Award winner Errol Morris (The Fog of War). Morris states that without a positive endorsement from Ebert on his first movie “Gates of Heaven” that there is a good chance he wouldn’t have ever had a career as a filmmaker. A good portion of the film deals with the last period of Ebert’s life, and can, at times, be difficult to watch. Diagnosed with thyroid cancer in 2002, and the following year with salivary gland cancer, the ailments caused the removal of most of Ebert’s jaw in 2006; debilitating him to the point where he could no longer drink, eat or speak. According to Siskel’s wife, it was Gene Siskel’s decision to hide his brain cancer, which led Roger to want to reveal his own health issues to the world at large. Ebert allowed James to film him while a nurse places a tube inside of his throat to suction it out. The filming of that particular medical procedure was done much to the disapproval of his wife. Ebert was wheelchair bound or in a hospital bed for almost all of the filming, and any communication he had with James and others was done through either hand written notes or a computerized voice synthesizer. There are, however, many still photographs, as well as video clips from Ebert’s life, that show a robust and happier Ebert: His wedding to Chaz, vacations with family, and socializing with friends and co-workers in his earlier days at O’Rourke’s bar in Chicago. Ebert an admitted alcoholic joined Alcoholics Anonymous in 1979, and from all accounts never drank again. (As an aside: Ebert’s decision to quit drinking is what led him to meeting his wife, when they met at an AA meeting. She is currently the president of Ebert Productions, as well as the publisher of Ebert Digital and the organizer of the annual Ebert Film Festival). Even though the later years of his life were spent as a frail man whose physical condition was rapidly declining, he was still able to touch the lives of film fans. He did that through his written work; reviews which remained as accessible, and as sharp witted as ever. “Life Itself” is an interesting, informative, sometimes funny, other times poignant and sad documentary. For those who think of themselves as students of cinema history, considering the indelible mark Roger Ebert left when it comes to film criticism, this is a must see. This entry was posted in Movies, Roger Ebert and tagged Chaz Ebert, Errol Morris, Gene Siskel, Life Itself, Martin Scorsese, Roger Ebert, Stephan Stanton, Steve James, The Chicago Sun- Times, The Chicago Tribune, The Pulitzer Prize, Werner Herzog. Bookmark the permalink. Thank you so very much for your compliment regarding my blog. I’m glad that you liked reading it. My favorite documentary of 2014. Wonderful review, Jonathan. Thank you again as always for reading and commenting. I greatly appreciate your readership. Great review man, I absolutely need to get a hold of this. Thank you for reading and commenting; as always, it is very much appreciated. Yes, give the documentary a watch in the near future. I don’t think you will be disappointed. I loved this movie!! Thanks for the great blog/review reminding me of that as it was some time ago that I saw it. I truly credit Roger & Gene with my love for movies. I was that kid on Sunday afternoons at 6:30 who watched Siskel & Ebert with even my mom asking me why I was watching these two men bicker..hahaha For me their respect for each other was clear all the while bickering tho. I was so upset when Gene passed on, but there was still Roger..and now, after watching his fight and his continuing love for film throughout it, just made me miss him so much more. Thank you for reading and commenting and your compliment on my review, it is greatly appreciated. such a great review for such a great movie jonathan! Thank you very much as always for reading and commenting. I couldn’t agree more, it is a phenomenal film, fully deserving of any and all accolades it receives.